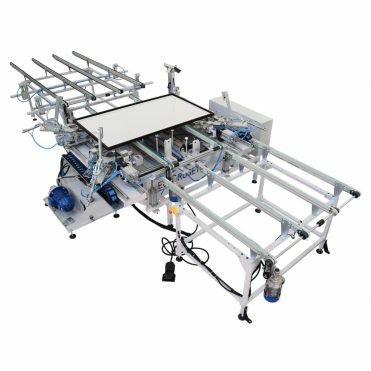 ECOSIL 14 A is a fully automatic inline silicone dispenser equipped with high quality silicone pump, silicone gun and frame centering system for automatic operation. 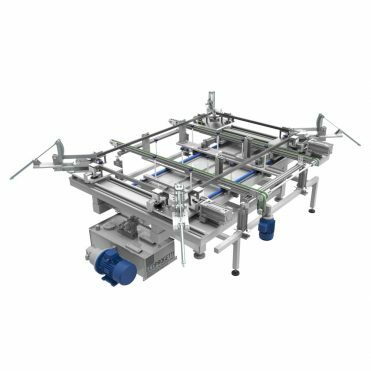 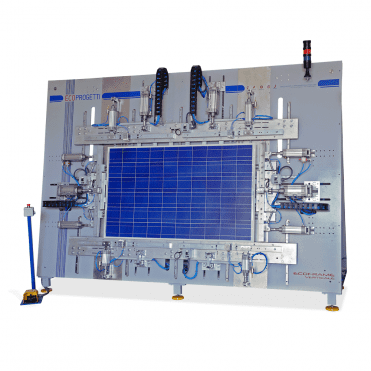 Aluminum frames are positioned and centered precisely in order to ensure a uniform dispensing and processing of the silicone. 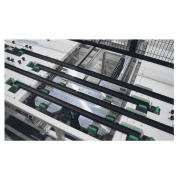 It can be arranged to work with silicone, glue or bicomponent silicone. 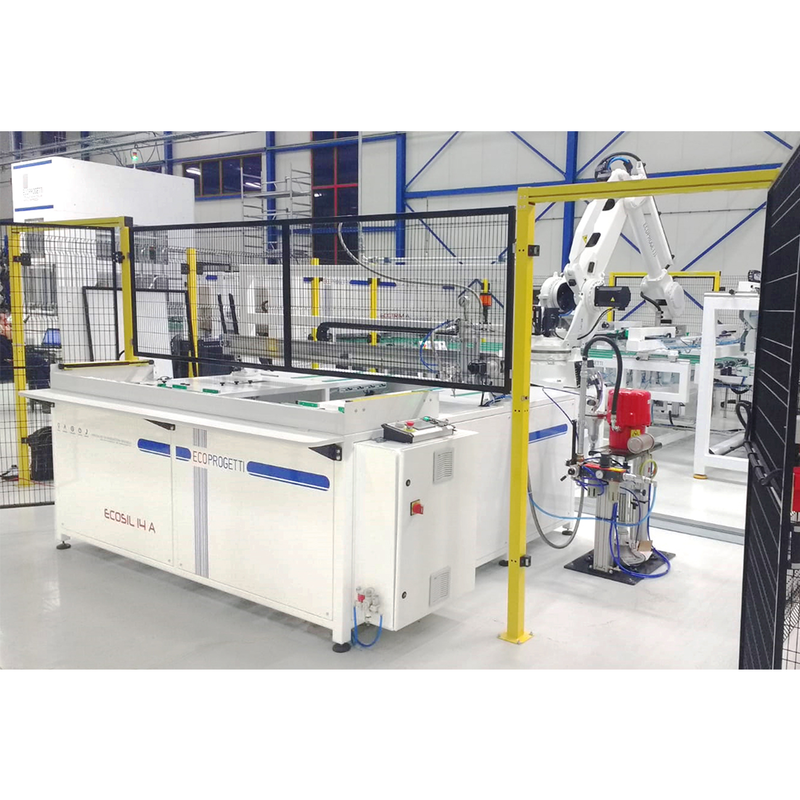 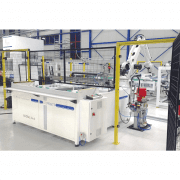 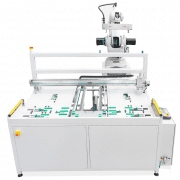 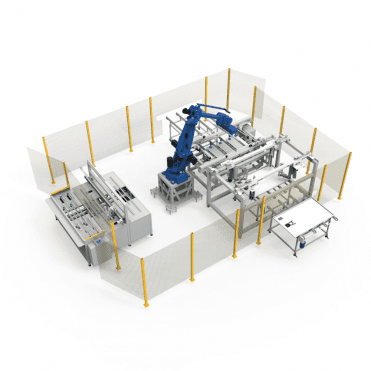 The machine is integrated with a 6 axis robot for frames handling.